All of us at the World Business Academy wish to thank our friends and supporters who turned out for our annual Gala and Awards Dinner this year as we celebrate the Academy’s 30th anniversary! 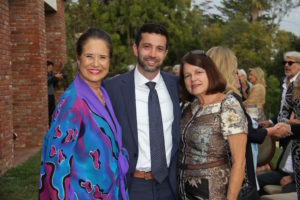 Our Gala took place on Sunday, September 17, at the beautiful and historic Belmond El Encanto resort hotel in downtown Santa Barbara. 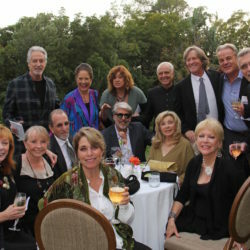 About 175 guests enjoyed music from local artists, cocktails, a dinner of chicken or pasta, great camaraderie and inspiring short films. 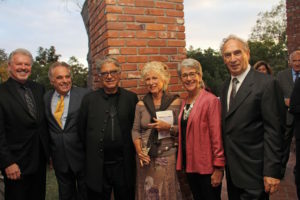 We were equally inspired by the words of our Gala honorees, world-renown author and scientist Dr. Deepak Chopra and Marianne Partridge, a leading journalist and co-founder of the Santa Barbara Independent. With the support of our generous community, we are thrilled that we exceeded our fundraising goal for the evening. The evening was inspirational and uplifting while the Academy and our supporters addressed the greater challenges of our day. We honored Deepak Chopra for his many years of friendship and work on behalf of the planet and Marianne Partridge for her journalistic integrity and dedicated work on behalf of the community. Academy President Rinaldo Brutoco presented Deepak with our Global Consciousness Award. He has been a Fellow of the World Business Academy for most of our 30 years. A pioneer in mind-body medicine and personal transformation, Deepak is board certified in Internal Medicine, Endocrinology and Metabolism. He founded The Chopra Foundation and the Chopra Center for Wellbeing, and has authored over 80 books published in over 43 languages, including 22 on the New York Times bestseller list. 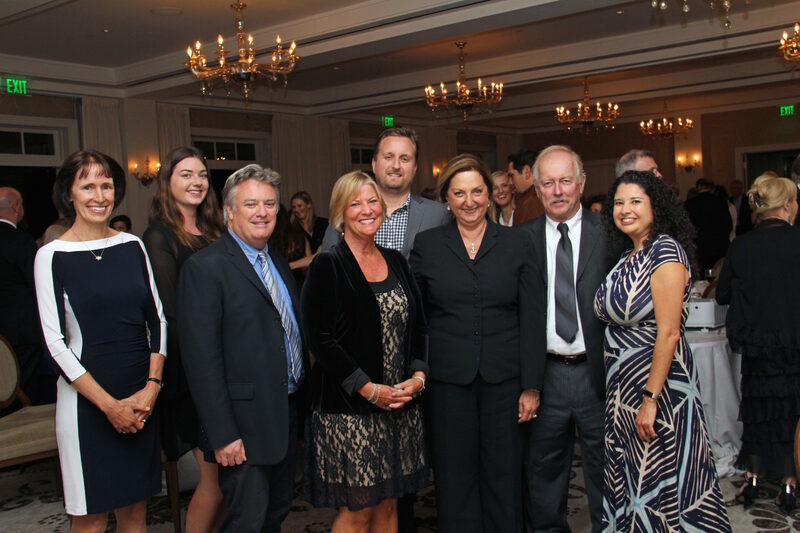 Honoree Marianne Partridge and the Santa Barbara Independent Staff. Marianne Partridge received our Responsible Business Award, presented by Gala Chair Sara Miller McCune, who recieved this award at last year’s ceremony. As a journalist, Marianne does not like to “be the story” but her commitment to this community and to the bedrock values of journalism compelled us to insist that she accept this award. 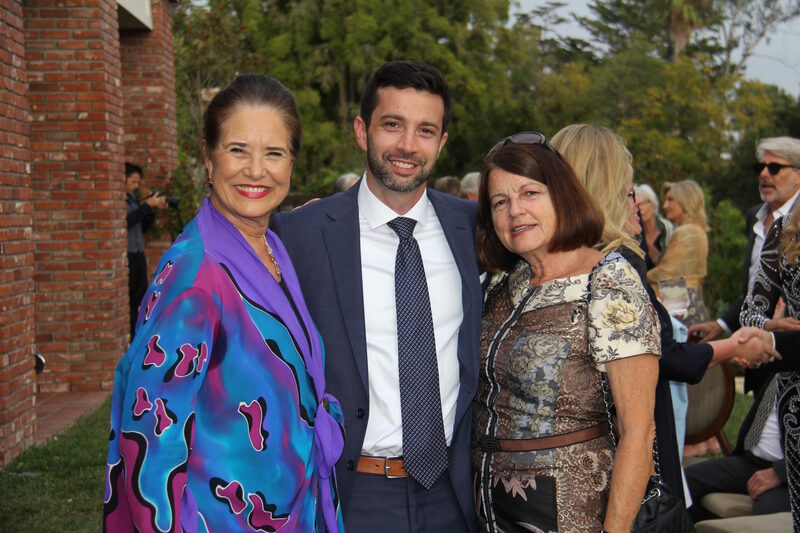 Marianne co-founded the Santa Barbara Independent, a much-needed voice in journalism that has been publishing locally for 31 years. She has an amazing background in her field: she was previously the editor of the Village Voice, executive editor of Look Magazine, and senior editor of Rolling Stone magazine, where she also served as bureau chief in New York and Los Angeles. Marianne also worked as a reporter in the Los Angeles bureaus of Forbes Magazine and The New York Times in the early 1970s and was a contributing editor to New West magazine in the early 1980s. We were thrilled to count among our guests Santa Barbara County Supervisor Joan Hartmann, United States Rep. Salud Carbajal, Santa Barbara City Councilman Gregg Hart, State Senator Hannah Beth Jackson and Oxnard Mayor Carmen Ramirez. We also welcomed the Academy’s newest board member, Bill Moses, and are grateful for the support of Gala Chair Sara Miller McCune. We are deeply grateful for the extemporaneous words of encouragement from Lee Lysne, who serves as Executive Director of the Kind World Foundation, a critical partner and supporter of the Academy. We appreciate that Lysne urged everyone to pitch in and match Kind World’s generous support. Our emcee, Geoff Green, Executive Director of Santa Barbara City College Foundation and a great friend of the Academy, did a superb job welcoming guests and hosting the live auction. The fabulous prizes included a week’s stay in a beachfront villa in Mexico for 14 people (which sold twice! ); a Pizza, Pasta and Vino Party for 30 guests Under the Tuscan Tent at Rinaldo Brutoco’s house; and daytime and evening sailing trips aboard “In the Flow,” a beautiful 62-foot Lagoon catamaran. Finally, our guests learned much about the causes we fight for by watching two short films we produced: “Beyond Nuclear Energy,” a new 13-minute film about the impacts and dangers of nuclear energy and nuclear waste, and “Clean Energy Moonshot,” which focuses on taking California to 100 percent renewable energy in 10 years or less. We can do it! From all of us to all of you, thank you again for your support. We believe the work we do is important and are gratified that you do, too.